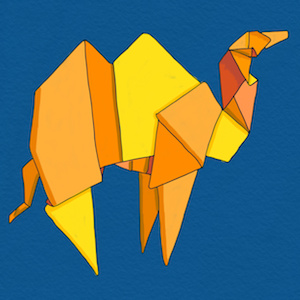 The goal of OCaml Labs is to push OCaml and functional programming forward as a platform, making it a more effective tool for current users (including significant industrial users) and at the same time growing the appeal of the language, broadening its applicability and popularity by a combination of technological advancements, creation of community infrastructure, and public communications. This effort is run across multiple groups in the Computer Laboratory, primarily the SRG and PLS, and including collaborators from the Security, CompArch and DTG groups. We would like to especially thank our primary funder, Jane Street, for their generous support. (Only) 12 years after the initial Mantis issues - and with thanks to a huge community effort - we now have Windows support in the OCaml 4.06.0 release candidate! Read more in David’s detailed blog post and follow the conversation on our Discuss forum. There are various Continuous Integration (CI) systems monitoring OCaml. The most publicly visible of these are the two which run on our GitHub repository: Travis, which tests GNU/Linux in 32-bit and 64-bit configurations and also performs a few sanity checks on pull requests, and AppVeyor which tests some of the native Windows ports. Richard Mortier recently decided to refresh and update his ocal command-line calendaring package, and took the opportunity to use the new packaging and build features present in opam: topkg and jbuilder. David Allsopp has previously contributed patches for native Windows support to Merlin, and after the release of Merlin 3.0.0 back in July, he’s been working with Frédéric Bour to port the new features to Windows. Displaying his own true sense of style, Romain Calascibetta added an incredibly detailed (and hilariously funny) PR for integrating his new Git implementation into ocaml-git - using the new implementation! Whilst porting a large portion of Mirage libraries to use Jbuilder, the MirageOS core team realised it was also a great opportunity to reorganise the package structure of some specific libraries, update/remove old code and improve overall functionality. Following some minor releases in the last month, OCaml 4.05.0 was released today and is available as an opam switch, or from source. The OCaml community has helped uncover a serious microcode defect on Intel Skylake and Kaby Lake processors with hyper-threading enabled. Debian have issued a security advisory encouraging users of systems with the affected processors to apply the BIOS/UEFI update, or disable hyper-threading.